This week, the movies are set to offer an interesting mix of genres for its audiences. From rib-tickling comedy Badhaai Ho, intense romantic drama Namaste England to romantic thriller Siberia, here are a few that you ought not to miss this weekend. What it's about: Badhaai Ho promises to be a hilarious narrative of an untimely pregnancy. The film will trace the journey of a family, as they try to accept and acknowledge the news of a "chhota mehmaan" coming into their household. Why it may work: The premise of Badhaai Ho is in itself completely new. Rao and Khurrana's natural acting and impeccable comic timing is sure to be a treat for audiences. What it's about: Vipul Amrutlal Shah’s narrative weaves a story between a husband, a wife, and her love for London. This odd love triangle of sorts gives rise to complications, drama and a promising story line. Why it may work: Namaste England will mark the reunion of Kapoor and Chopra who both made their Bollywood debuts as lead actors with 2012's Ishaqzaade. Going by their past record of creating amazing chemistry on-screen, Namaste England might just be a treat for audiences. What it's about: The film's narrative charts the journey of a Varanasi based gangster as he tries to fulfill his dreams of becoming a big screen hero. In order to achieve his goals, he takes help from a director (Arshad Warsi) and writer (Shreyas Talpade). Why it may work: Warsi and Talpade are famous for their comic timing on the Golmaal franchise. Teaming up with Deol may make the narrative equally humourous and action-packed. What it's about: Vada Chennai depicts Dhanush as a local hero who demands that justice is done to his land and his people. He goes up against local goons to claim what is rightfully his. The narrative of the film spans three decades and depicts the actor in multiple makeovers suited to each time-frame. Why it may work: Directed by National Award-winning filmmaker Vetrimaaran, Vada Chennai is one of the most anticipated films of 2018. Vada Chennai will be the third collaboration between the director-actor duo who have earlier worked on Pollathavan and Aadukalam, which got Dhanush six National Awards, including that of Best actor. What it's about: Siberia tells the story of an American diamond merchant, who travels to Russia to sell rare blue diamonds of questionable origin. As the deal immediately begins to collapse, Lucas travels to Siberia in search of his missing partner and their diamonds, where he falls for Katya, the owner of a small Siberian cafe. 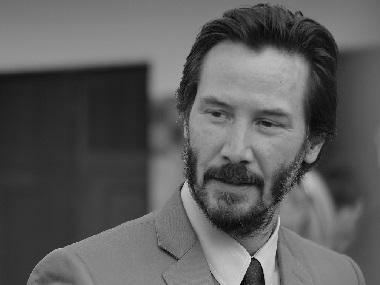 Why it may work: Reeves' recent releases have all belonged to the thriller genre. With the John Wick franchise and Replicas among others, Reeves' knack for adventure narratives is a well-known fact.